ColdTuna Ultimate 10 Fishing Rod Storage System provides rod storage for the home, boat, camper, RV...virtually anywhere rod storage is required. 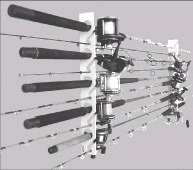 All racks are uniquely designed to be mounted on a wall or ceiling, allowing overhead storage of an anglers precious arsenal of rods with the reels attached!. The modular design lets multiple racks be mounted next to each other, providing unlimited rod storage while keeping rods in linear formation. 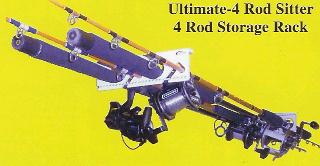 ColdTuna Ultimate 4 Rod Storage SystemAll fishing rod racks are made from 1/4" ABS plastic. The mounting bracket is machine bent and fused together providing a one-piece rack with incredible strength and sturdiness. The Sepoleator allows you to bundle your fishing rods together without having them rub against each other, thus preventing the possibility of chipping and weakening your rods. 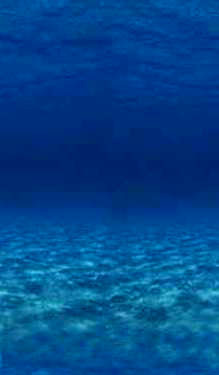 Each unit is capable of securing from 4 to 10 fresh-water, saltwater, or fly-fishing rods with the reel still attached! Design allows multiple units to be placed next to each other, keeping your rods in a linear formation. Can be mounted to a ceiling or a wall ensuring that your rods stay out of harms way. The 90 degree bend at the top makes this unit very sturdy and allows it to be mounted to virtually any flat surface! 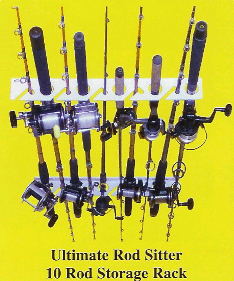 The Ultimate Rod Sitter is precision cut and the mounting bracket is machine bent and fused together making this a one piece unit very strong and sturdy. Mounting hardware is included making The Ultimate Rod Sitter easy to mount to a ceiling or wall in just a few minutes! The Sepoleator wraps your fishing rods together without having them touch each other. The Sepoleator unit consists of 2-foam rubber ribbed bumpers that help to secure your rods into place, and 2-velcro straps (2 inches wide) that secure your fishing rods against the foam bumpers. The Sepoleator with Shoulder Strap is the perfect way to transport your rods while keeping your hands free. Now your fishing rods are easily thrown over your shoulder, or on your back without the risks associated with your rods rubbing and chipping at each other. The Sepoleator is a must for every fisherman, and can be utilized for both fresh and salt water rods with the reels still attached. 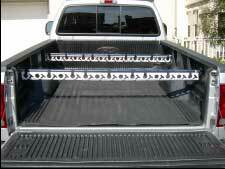 It gives you the piece of mind that your rods will not be damaged in transport. It's great for rod tubes too! ColdTuna Designs, Manufactures, and Distributes the most innovative, unique, and versatile fishing rod storage racks in the sportfishing industry. Being lifetime Southern California Natives, and fishing the waters off the Channel Islands, our collection of fishing rods and reels grew to be worth thousands of dollars. After years of stacking our fishing rods in the corner of the garage, and being disatisfied with the fishing rod racks on the market today, we decided to design our own. After our friends saw the value these fishing rod racks had, they wanted us to make some for them too. 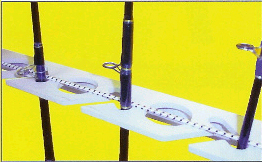 We soon learned that many sport fisherman wanted our fishing rod racks, and so here we are. Copyright ?1999-2008 by Hawaii Lure. All Rights Reserved.